You might be expecting a Halloween recipe from me today. It would make sense considering I’m a member of the food blogging community and it’s almost a law to participate in candy making. Marshmallows made to look like ghosts. Maybe a cake that looks like witch. The party must stop. Just give me a few days to detox. Cleanse. Breathe. Srsly. My body is craving everything green and purifying after months of partying, eating, and drinking like I was contributing to the downfall of the decadent Roman Empire. Many sins were committed to this vessel, and until the holidays completely take over I will be doing what I can to reverse the damage. Let’s start the day with a delicious Green Detox Juice. Sure, it’s green. This might not be your ideal color for breakfast. But I will tell you this. It’s good. It’s sweet from the pears and a little spicy from the ginger. Oh, and it is jam-packed with really healthful ingredients. You won’t feel a thing. Just drink it. 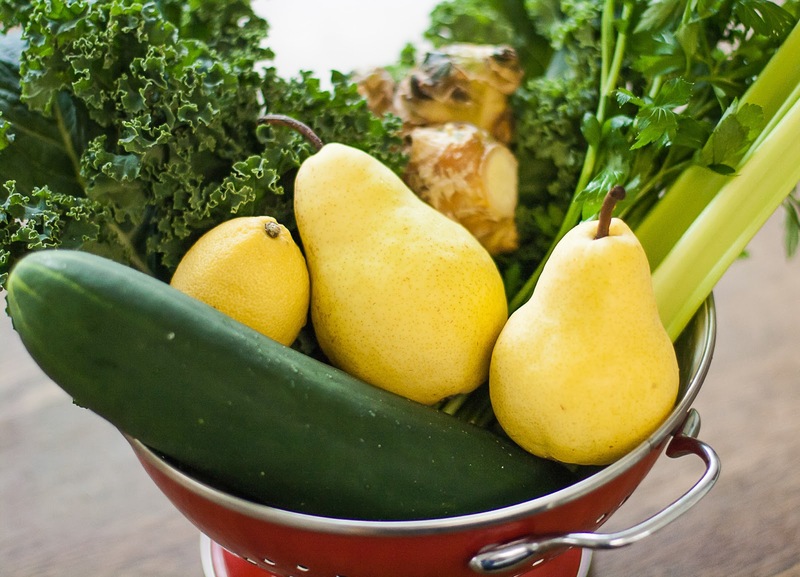 Thoroughly wash all of your vegetables before putting them in the juicer. Peel and core any fruit and vegetables with inedible or bitter skins and seeds. Feed all of the ingredients in to the juicer until done. Pour in to a pretty glass and enjoy. Pssttt. 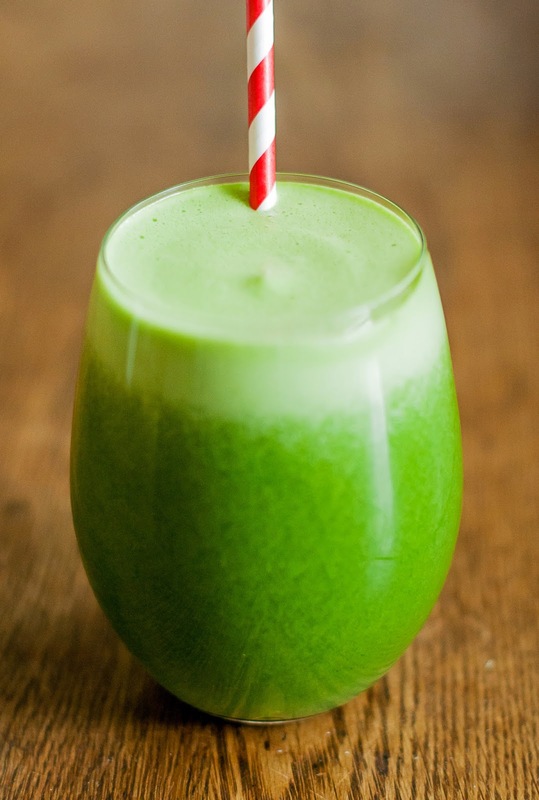 You don’t have to throw away the pulp left over in the juicer. Depending on the vegetables you have juiced, use it as compost, make stock, stuff in to vegetable burgers, or stir in to pasta sauce. The sky is the limit! What a great colour and I could do with a bit of detox myself. I can manage everything - except the kale. Cheers! Vitamin Green tea is what I take before breakfast every day. I make a smoothie with wild blueberries, fresh ground Flax seed and juice or other tea, and add a banana and this is what I have to start my day.